A while back, I ordered a pair of hair clips from Restyle. 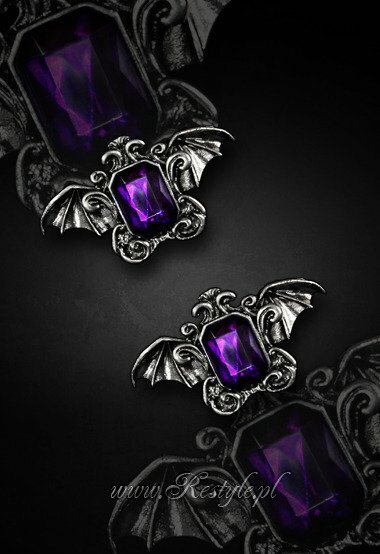 They are an ornate design with bat wings and purple gems. I knew they were small, but when they arrived, I was disappointed to see that the actual clip portion on the back was really tiny. They were much too small to be functional in my long, heavy hair, and if I clipped them on just for decoration, they quickly got lost in all the hair. I can still fit only a small lock of hair in the clips, but the shorter hair is not too heavy for them to hold. Now they can actually be functional and not get completely buried. Long hair, I have enjoyed having you... but it was time for you to go. With the weight gone, my hair's natural wave springs up a little. I didn't have any proper styling products on hand; nonetheless, it dried rather wavy with a lot less frizz than I expected. It sure behaves differently in Colorado's dry summer than it did back in Georgia's muggy nightmare. The cut includes some long layers. The overall length is a couple inches longer than I'd originally had in mind. The stylist wanted to be a little more conservative on the first go, which totally makes sense. She can always cut it shorter and/or add more layers next time. I am glad I got the cut. I've washed it twice since yesterday afternoon just for the novelty of having it dry naturally in less than five hours. :) I really like the option of wearing it wavy. There is just one problem -- I have to learn how to style it! What is going on with my face here? My left eye isn't THAT much higher than my right. For today, it's a messy ponytail. Not the height of style, but wow, it's nice to be able to get my hair up off my neck and back with just one little ponytail holder. Especially in the heat of summer! After much deliberation on the idea of changing my hair from black to purple, I decided to stay with black. Purple hair requires money for maintenance, and I'm not expecting to go back to full-time work for another couple of months (more on that another time). I need to be wise about my spending. Dyeing my hair black costs a paltry $3 a month... so black it will be. At least for now. The winners of the 400 Followers giveaways have been chosen! Entrants' names were put into a spreadsheet, one line per entry, and I used a random number generator to choose the winners. Winners, please contact me so I can get your mailing address. Congratulations! This pattern is for a 3/4 circle skirt with yoke and back zipper. It has options for two lengths, a contrast band and/or pockets. It's labeled "Quick & Easy," which is an accurate description. The 3/4 circle style is nice because it provides plenty of fullness without requiring as much fabric as a circle skirt. I used view C (shown in pink above) but unfortunately had to omit the pockets because I did not have enough fabric. I also modified the skirt to take an elastic waistband because I'm not at my usual size and elastic waists are much easier to take in. It works with the elastic but would definitely look much better with the yoke and zipper. I trimmed the bottom with red polka dot ribbon to match the skulls' bandannas. Overall, I am very pleased with this pattern. I will definitely pull it out again when I can use it with a zipper and pockets, and try it with the contrast band as well. It's been an unbearable couple of days here at Bane's Lair. The weather was hot Monday... and my air conditioner wouldn't turn on. I spent the afternoon working in the basement and the evening running errands in the air conditioned car (with an extended stop in the frozen food section of the grocery store). Yesterday was record-breaking hot (100F/38C). I went to the mall and stayed until 9:00 p.m.
Today I rejoice in my new thermostat and the gloriously cool air my A/C is now providing. I learned that long hair + hard floors can be a dangerous combination for A/C systems. With no carpet to catch and hold the hairs, they tend to get pulled into the return air duct, where they will clog the filter... or in my case, get past the filter to clog the A/C unit itself. Apparently the ductwork in my house is non-standard (just like everything else), and the filter left a small gap through which hair was being pulled. As a result, I had to pay $285 to have a truly astounding and disgusting amount of long hair cleaned out of the A/C unit. And I'll need to special order custom-sized filters. What really ticks me off is that I've had the A/C serviced THREE TIMES before, and evidently none of those technicians noticed the enormous hairball building up in the unit. I can't help but wonder how much lower my utility bill might have been during last year's long, hot summer if the A/C hadn't been struggling to work with a clogged coil. The entry deadline for the seven giveaways is tomorrow at 10:00 a.m.
A pattern review and (hopefully) a completed sewing project for The Professor's monthly homework assignment of polka dots. Longtime readers will be shocked to learn it is NOT a skirt I'm making. Winners of the giveaways will be announced. I am very grateful for all my readers. You make blogging truly rewarding for me. As a thank-you, I will be giving away the projects I made for Sophistique Noir's Red & Black Week. That's a total of seven giveaways! ruffle skirt -- will fit hips up to 42"
pixie skirt -- will fit hips up to 44"
tee skirt -- will fit hips up to 36"
Please note skirt sizes shown in the captions. There are Two Ways to Enter. You may do both to receive two entries. Maximum two entries per person. Entries will be accepted until 10:00 a.m. Mountain Daylight Time on Thursday, June 13, 2013. Winners will be chosen by random drawing and announced on Saturday, June 15, 2013. One prize per person. If your name is randomly drawn and you have already won a giveaway, a new name will be drawn. Again, there will be seven giveaways. Your entry will place your name in all the giveaways you indicated. For example, if you enter via Way One and indicate that you want to enter giveaways 2, 4 and 5, your name will be entered once in giveaway 2, once in giveaway 4 and once in giveaway 5. For day 6 of Red & Black Week, a tutorial on turning a tee shirt into a skirt. Most of us have a band tee or 10, and often they're not very figure flattering. You can take in the waist, cut off the neckband, and so forth to make a better fitting shirt. Another option is to turn the tee shirt into a tee skirt. Before you begin, be sure you know your hip measurement. The waistband of the skirt will need to be large enough to fit over your hips. Grab your tee shirt. For the first example, I had a VNV Nation tee. I also had a striped tee. Cut off the neckband and sleeves, leaving as much of the body of the tee as possible. Cut up the sides to separate front from back. Now you will cut the tee(s) and other fabric (if applicable) into the skirt pieces. The number and shape of the pieces will depend on the style skirt you're going for. You will likely cut triangular shapes with flat tops and possibly rounded bottoms. Wider triangles and more pieces will create fuller skirts. Important: The total measurement of all the triangle tops must be at least as large as your hip measurement. For this example, I made a fairly close-fitting A-line skirt. It's made up of four triangular pieces -- front, back and two sides. Hem/finish the bottom. In this example, I added black lace. For the second example, I had an i:Scintilla tee. I planned to make a skirt with this tee, so I bought the largest size (men's XL) to give me plenty of fabric to work with. I sewed on the waistband and added grommet trim. For Day 5 of Red & Black Week, a tutorial on making an "envelope" style pillow cover. A pillow cover is an excellent first project for the sewing novice. It also provides some of the best ROI (Return on Investment) of any sewing project. Invest a very small amount of fabric and time, and you get a return that can be practically miraculous. YIKES! I didn't even want the things in my house, much less on display. 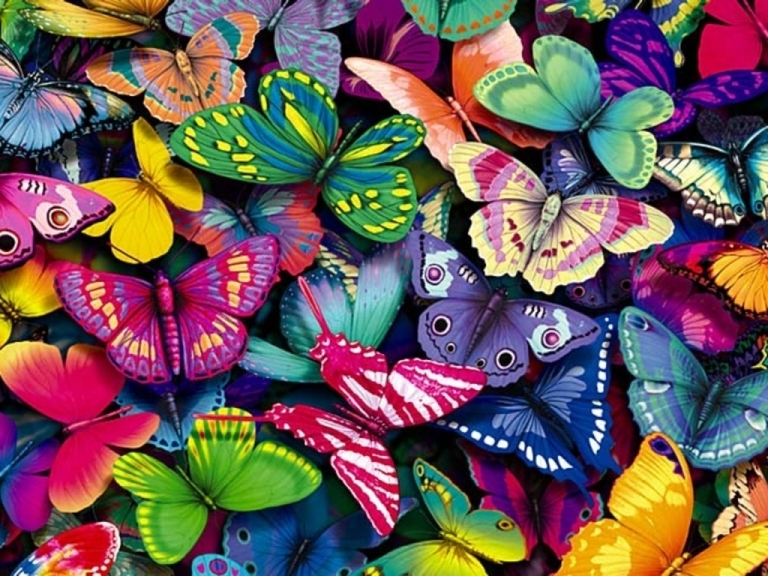 :P But disguise them inside some simple pillow covers... and wow! Miraculous! Ready to perform your own miracle? Here we go! Begin by determining what size your fabric pieces should be. You will be cutting one piece for the front and two pieces for the back. You can measure directly on your fabric if you like. I prefer to make a paper pattern, which is super easy with graph paper. Cut your fabric. Hem one long end of each back piece. Place one back piece on top of the front, right side down, with the hemmed end toward the inside. Line up the top, bottom, and side raw edges. Place the other back piece in the same manner, lining it up with the other side of the front piece. The hemmed edges of the back pieces should overlap about 3". Pin. Stitch around all four sides. You can use a regular sewing machine or a serger (overlock machine). Turn right side out. Sewing is complete! Insert pillow through the "envelope" opening in the back.